Finding perfect hairstyles for heart-shaped face can be difficult. But, no need to fret! 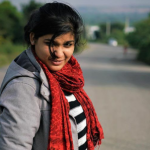 I am here to help you find hairstyles that will complement your face shape perfectly. Let’s start off by determining whether you have a heart-shaped face or not. A heart-shaped face is the widest at the forehead and gradually narrows down to the chin. This means that when a person looks at your face, their attention is automatically drawn to your forehead. This is also called the inverted triangle face shape. Now that you know you have a heart-shaped face, let’s move on to what you need to keep in mind when picking a hairstyle. You need to take the attention off your forehead as that makes your face look broad. You need to accentuate your cheekbones. You need to pick a hairstyle that makes the lower half of your face seem fuller, hence drawing attention to it. Bangs are the best way to draw attention away from your forehead. Whether it’s side bangs, swept bangs or just your basic front and center bangs, this is the best go-to hairstyle for heart-shaped faces. Long side bangs are a great way to add definition to your cheekbones. Heart-shaped faces go really well with long hair. If you’re considering curls, then full curls or waves are the way to go. Frizzy or zig-zag hair is a big NO! Heavy or mild highlights go well with a heart-shaped face and bring the focus to the rest of the face. A middle parting with side bangs is THE hairstyle for all you women with a heart-shaped face. A complete color job will look nice with heart-shaped faces. When coloring your hair, try an ombre. 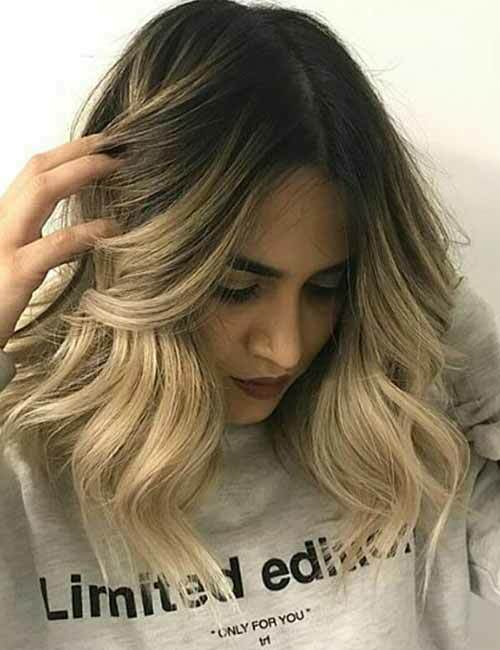 The color should be darker at the roots and lighter at the bottom. It gives the lower half of your face a fuller look. 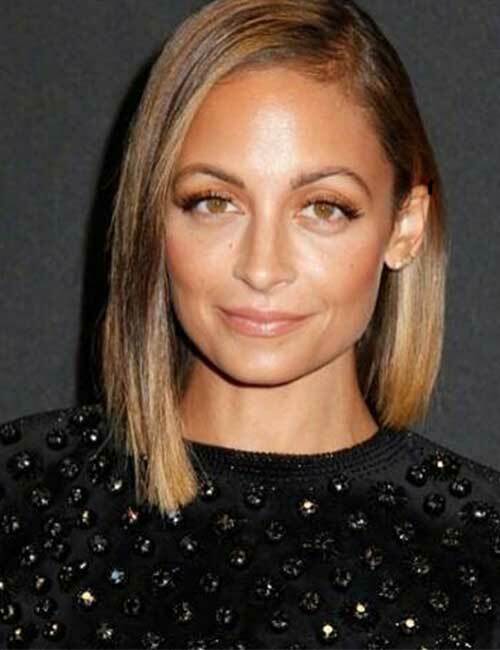 A bob that reaches just below the jawline adds definition to the chin. A textured bob (a bob that is cut at an angle) is a great haircut for heart-shaped faces as well. Soft side swept bangs look stunning on women with a heart-shaped face. A fully swept up bun looks gorgeous on long heart-shaped faces. Now that we know what we need to keep an eye on, let’s take a look at a few celebs with heart-shaped faces whose hairstyles look perfect. 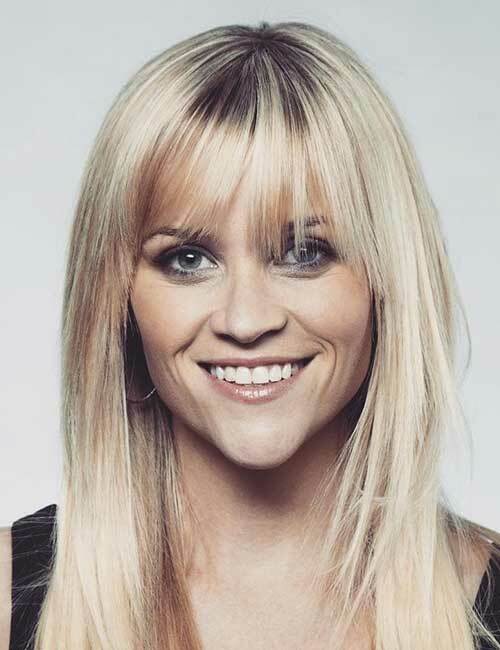 Reese Witherspoon is not only America’s sweetheart but the whole world’s as well. She always sports bangs, with both straight and wavy hair. Bangs looks impressive on heart-shaped faces. They divert the attention from your broad forehead and bring attention to the lower half of your face. Jennifer Garner is the poster child for brunette hair. Her slender features are highlighted beautifully with those short tapered bangs and straight hair. Garner’s cheekbones look well defined here because of her hairstyle. Yes! This drop-dead gorgeous Bond heroine has a heart-shaped face. Halle Berry turned heads when she sported this stunning short hairdo. This spiky hairdo does her face justice by bringing all the attention to her cheekbones and eyes. Stunning model, actress, and fashion designer, Claudia Schiffer looks beautiful in this long layered hairstyle that accentuates the lower half of her face. The soft waves bring attention to her cheekbones without making her chin look too long. There is no hairstyle that would not look good on this ethereal beauty! But Scarlett Johansson’s short hair updo started a trend that is still breaking records all over the world. This hairstyle looks perfect on her long face as it accentuates her cheekbones and eyes, bringing just the right amount of fullness to her chin. Model Naomi Campbell knows what looks good on her. The middle parting, seen in the picture, highlights her chiseled nose, gorgeous eyes, and full lips, and camouflages the width of her forehead. Jennifer Love Hewitt knows her hair. She started a trend with her straight-haired look from the movie I know what you did last summer. But that’s not the look we’re talking about today. Jennifer Love Hewitt looks pretty in this side loose pony that gives her a messy laidback feel. 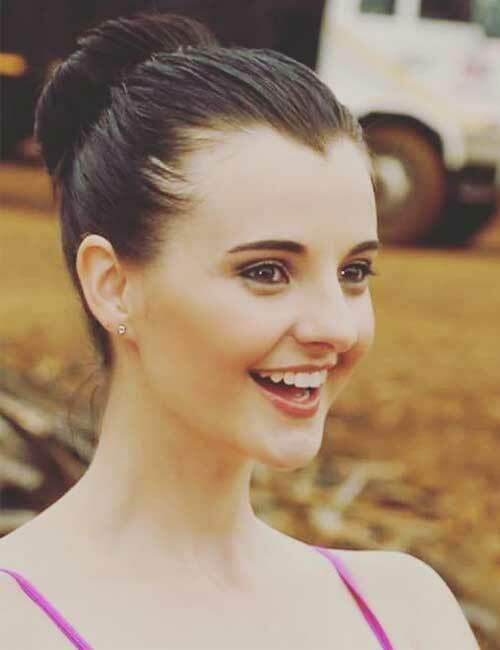 The side swept bangs adds definition to her facial features while diverting attention from her wide forehead. Actress and model Audrey Tautou pulls off this short wavy hairstyle like a rockstar! With side-swept bangs that make everybody focus all the attention to her eyes and lips, this short hairstyle for heart-shaped faces is one for the books. If you love short hair, then this is the look for you. Katie Holmes stuns us with this chic, straight, and shiny hairstyle. This is one of the best hairstyles for heart-shaped faces. The long straight hair with the side parting focuses on Katie’s eyes and lips. The eyeliner just adds more definition to the eyes. Eva Longoria’s hair stole the hearts of many. She looks beautiful with that deep side swept fringe. The spiky outward edges bring the focus to her jawline and high cheekbones. 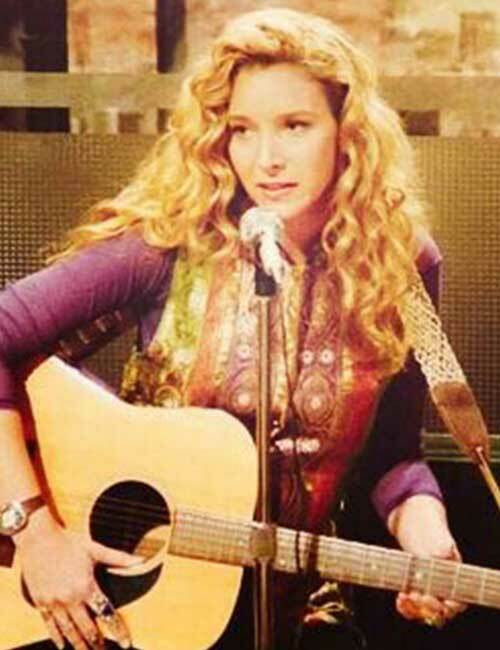 Lisa Kudrow has come a long way from simply being known as the wacky free-spirited Phoebe Buffay. She looks absolutely beautiful in this straight side bangs hairdo. The side layers bring out her gorgeous eyes and give her face a fuller feel. 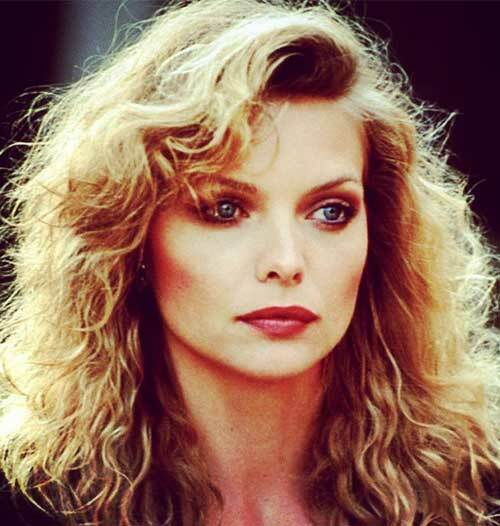 Michelle Pfeiffer is a goddess! She even has Bruno Mars singing about her. While she has a lot of hairstyles that we could talk about, this one is my favorite. Her fluffy waves look so brilliant and immediately brings the attention to her eyes, nose, and mouth. The fluffiness of this hairstyles gives definition to her facial structure, highlighting her cheekbones. The gorgeous Ashley Judd has a more rounded heart-shaped face. The big soft waves at the bottom give her a gentler look while adding definition to the lower half of her face. The straight hair on top along with the side bangs accentuates her cheeks, eyes, and eyebrows. But it is her wide smile that steals hearts! 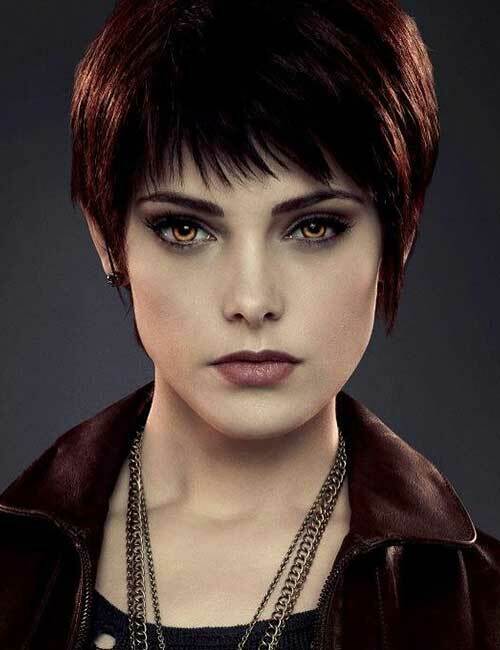 Ashley Greene turned heads with her playful pixie hairstyle that her character Alice Cullen sported. Everyone wanted that pixie! If you have a heart-shaped face, then try this haircut. Ashley looks stunning and carefree in this hairstyle. The bangs divert any attention from the forehead to the lower part of her face. Singer Cheryl Cole looks terrific in this slightly poofy messy braid with long side bangs. The bangs focus on her cheeks, nose, and mouth and make her forehead seem smaller. The color of her hair complements her eye color well. Gwyneth Paltrow switched her regular straight-haired look for this cool wavy wispy edged look. The full waves bring attention to her cheeks and smile. The textured bob with wispy ends is one of the best hairstyles for heart-shaped faces who are looking for a more modern look. The waves make her face appear thinner. Mary-Kate Olsen looks fabulous in this messy low bun look. This hairstyle also acts as a faux bob. The side bangs get us to focus on her lips. The one sided angled bob gives her face a longer look. This is the perfect look for women with round, heart-shaped faces. 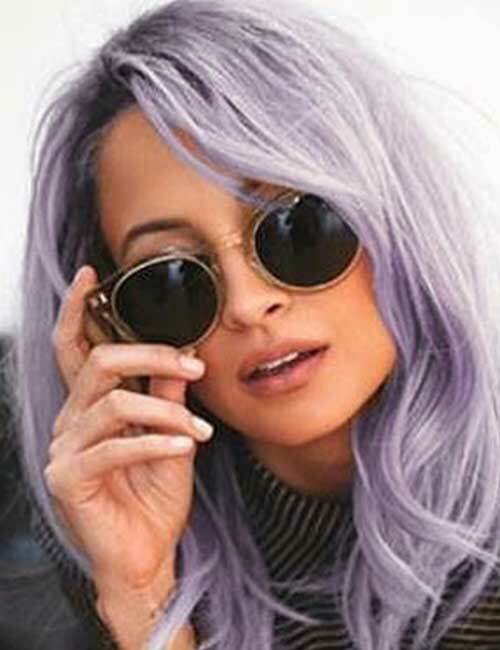 Fashion designer and actress Nicole Richie Madden knows what hairstyles suit her. The angled bob is an excellent hairstyle for round, heart-shaped faces. It draws attention to her lower face and her lovely eyes. Victoria Beckham is a whole new level of sophistication. She looks chic and gorgeous in this textured bob hairstyle. It adds definition to her cheekbones and focuses on her lips and eyes. The side parting makes her forehead look smaller and adds length to her face. Actress Deepika Padukone is the epitome of beauty and elegance. She looks classy in this low pony with a middle parting. The middle parting defines her facial structure well. It highlights her cheekbones and huge eyes. Paired with a gorgeous deep wine lip color, this look is sure to turn heads. There you have it! 20 amazing hairstyles for heart-shaped faces among women. Try out all these lovely hairstyles and let us know which one you loved the best.